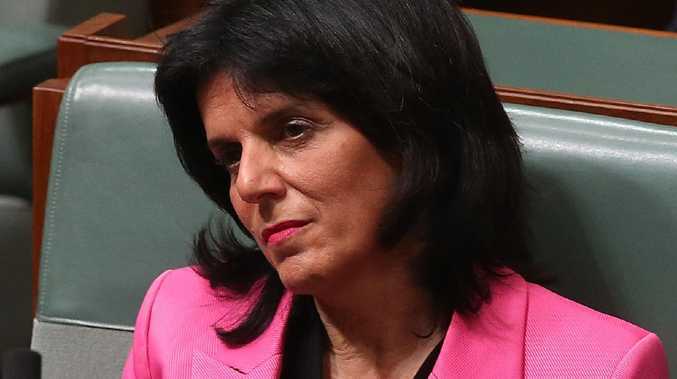 Julia Banks has delivered a fiery call to parliament. 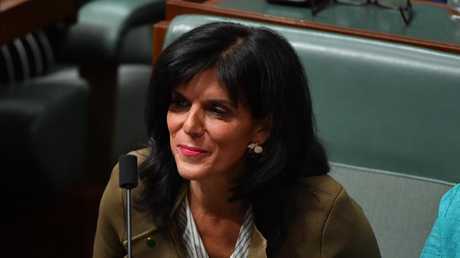 WHILE most of our politicians were glammed up for Canberra's annual Midwinter Ball, Julia Banks was delivering a fiery late-night address to parliament. The outgoing member for Chisholm described a "culture of appalling behaviour" in her political journey, and launched a push for gender quotas in the Liberal party last night. "In my political journey a culture of appalling behaviour has been widespread, pervasive and undermining like white ants," Ms Banks told the chamber. She said she had decided not to contest her seat at the next election in response to the bullying she had witnessed. "Walking away is very powerful and there are many men, but particularly many women, in the workplace who have done this. Julia Banks has delivered a fiery late-night address to parliament. Ms Banks made a push for gender quotas within parliament, saying: "It's really simple, if you only have a man running and there's no woman, find one. They're out there. "(Women) represent half the population and so should a modern Liberal party. "The meritocracy argument is completely and utterly flawed. There are an equal number of meritorious Liberal women out there in the real world as there are men but they won't come if the barriers to entry and mountains to climb are too high." She also said she'd been "stunned" by the nation's reaction to a statement she released two weeks ago, explaining why she was leaving. "From across the political divide there was both the groundswell of heartwarming support received from both in and outside this place, to reprisals and retribution and the old 'nothing to see here, no formal complaint, no evidence, name and shame' etc.," Ms Banks told parliament. "The supporters come from Australians from all walks of life. 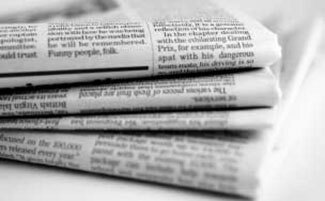 Men and women who want real change, and are fed up with the major parties treating such issues as either something they want to be swept under the carpet, to be managed as media or crisis management 'optics issue', or for political point scoring. She dedicated the speech to people who would not call out harassment or bullying due to fear. Prime Minister Scott Morrison dismissed the idea of quotas. The fiery speech came just a day after Prime Minister Scott Morrison dismissed the idea of quotas, telling ABC 7.30 they're "never something I have supported ... I don't believe quotas are the way you remove obstacles". 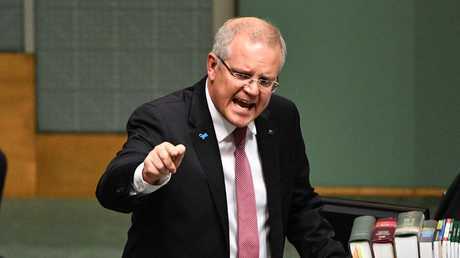 Mr Morrison also dismissed claims of bullying within the Liberal party. "This is a very torrid business, as we know ... (but) there was no sort of gender-specific actions that related to what is, some would call very intense lobbying, which is fairly normal in the political process, albeit not edifying," he said. Her speech also came after Senators Lucy Gichuhi and Linda Reynolds backed down on their threats to name bullies in Parliament, announcing the issues would be handled privately within the party. A week after last month's leadership chaos, Ms Banks spectacularly resigned from parliament, revealing she was bullied by her colleagues over the lead-up to the vote. In a scathing statement, she said the leadership spill was the "last straw".